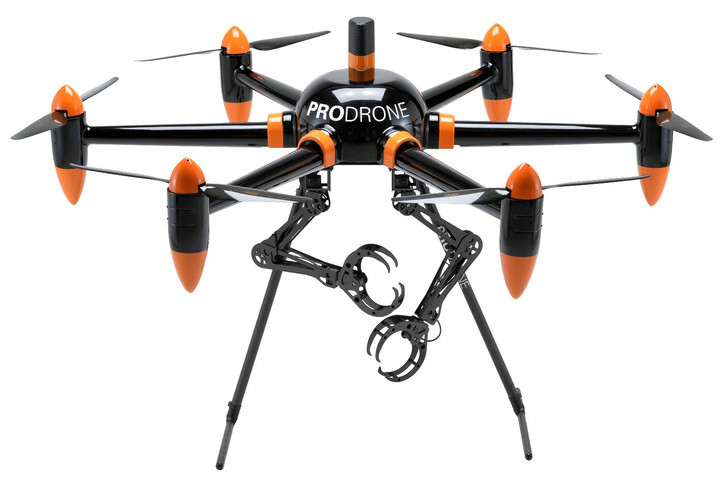 NEWS: This drone has claws, man! No, not terrifying at all. Drones are just a bit of fun, right? They take great aerial photos, and they fly really fast in races. Great fun! Ha ha ha! But wait, some insane person in Japan thought 'No, drones aren't fun. They need the grabbing claws of a hawk to carry away people's babies. I'll built it!' That's just what Prodrone is. Capable of carrying payloads of up to 22 pounds (about the weight of a baby! ), and staying aloft for half an our, the 'Hawkcopter' (as it should be renamed) is pretty impressive, despite it filling us with dread and reminding us of the Viper Probe Droid from Star Wars. As the video says (over and over again) the actual name of the grabbing quad is PD6B-AW-ARM, which just rolls off the tongue. In all seriousness, this could be exceptionally useful for technical and rescue situations, when it is too dangerous to send an actual human. And hey, imagine having a fist fight with it. That'll be in a film one day soon.